We decided to go out for a run on the bikes today. We awoke to fog and a cold chill in the air. I had a quick look on the webcam at Hawes, it looked clear there so I was happy it would be clear in the Dales. So we got ready and headed out. 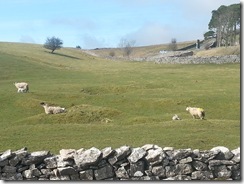 We followed our usual route to Settle via Sabden, Sawley and Wigglesworth. It was cold and the fog was wet so it was really difficult to see at times. The Pinlock on my helmet is again completely useless. I think I will need to get a new visor (the Pinlock has scratched my current one) and get a stick on anti-fog visor insert instead. 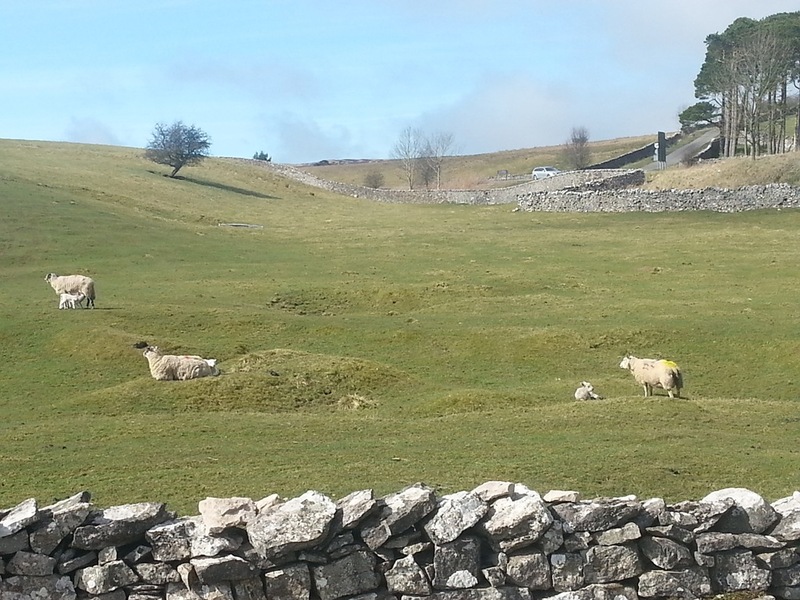 We didn’t head into Settle and instead followed the A65 to Kirkby Lonsdale. We then turned onto the A683 and headed for Sedbergh. The fog started to clear as we headed north and we could soon see again. We stopped briefly in Sedbergh to use the toilets, very quick and handy to be able to park up outside them. We then continued up the A683 to Kirkby Stephen. It started to get unusually very busy as we entered Kirkby Stephen. The queue the other was nearly all the way back to the A66. We then continued on the A685 to Brough. We expected most of the traffic to get onto the A66 at Brough but they didn’t for some reason. From Brough we joined the B6726 and headed for Middleton-in-Teesdale. For some reason this usually very quiet road was very busy. We got stuck behind a lorry going up the hill out of Brough as we had hit the fog again and couldn’t see to overtake. After a brief while it cleared enough to pass the traffic and then we caught up to another small convoy stuck behind a caravan. Something was definitely up as loads of traffic was also coming in the other direction. As the fog lifted we passed the caravan and then caught up to a long snake of traffic. I am very familiar with this road and knew we could pass all this traffic safely. Halfway down this road it narrows to a single track as it goes over two small humpbacked bridges. As they came into sight I could see the problem, several large lorries where trying to get through this section. We took advantage of the situation and filtered passed the traffic and over the bridges and into the clear. We came across a bit more traffic as we headed into Middleton-in-Teesdale. We stopped for lunch at Cafe 1618 as usual, where we found out the issue was that the A66 was closed between Bowes and Barnard Castle. We decided over lunch to change our route and head to Hawes via Barnard Castle and Tan Hill instead. We left the cafe and headed to Barnard Castle on the B6278 hoping to miss any traffic, which we did. 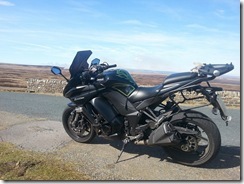 We then headed over the A66 and joined Stang Lane and then turned onto the Long Causeway and headed for Tan Hill. Thankfully it was now quite and we didn’t see any real traffic for the rest of the day. 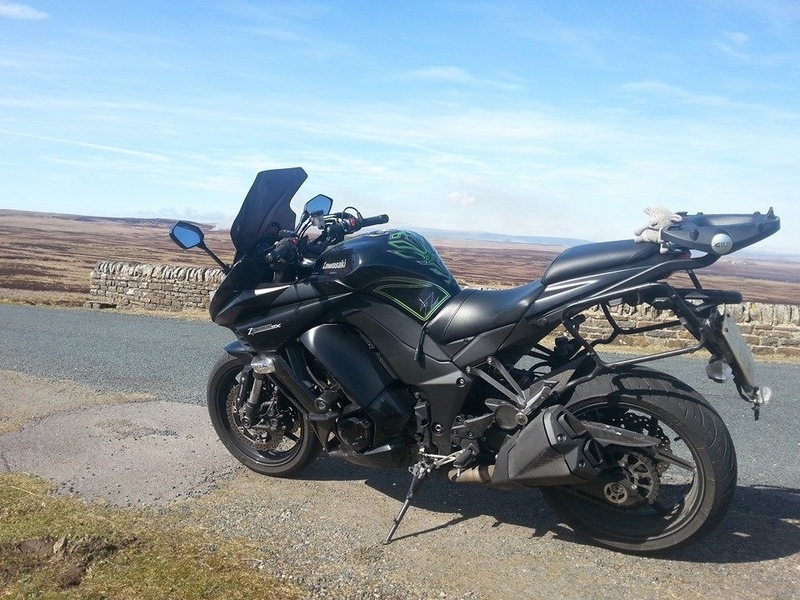 From Tan Hill we headed down the tight hairpins to Keld and then over Buttertubs Pass to Hawes. We then followed the usual and excellent B6255 and B6479 to Settle via Ribblehead Viaduct. We stopped in Settle for coffee and scones at the Ye Olde Naked Man Cafe. We then headed home via Wigglesworth, Sawley and Sabden.